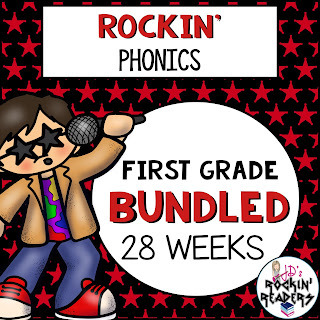 Rockin' Phonics- An Entire Year! 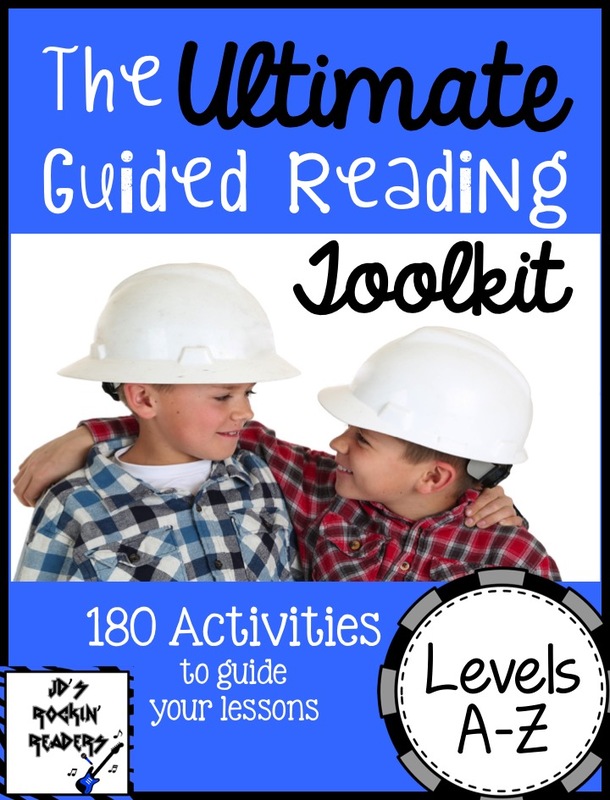 Are you tired of searching for phonics activities each week? If you are anything like me, you are scouring TPT to find just the right game or activity for your phonics lessons! This past year I decided I was done doing that. I was never truly happy with what I put together because it was different each week. I decided I needed to create my own phonics lessons. I wanted something that was routine for me and for my students. I also wanted something fun and engaging. So, what came to be, was Rockin' Phonics. Ultimately, it ended up being 28 weeks that follows first grade curriculum. 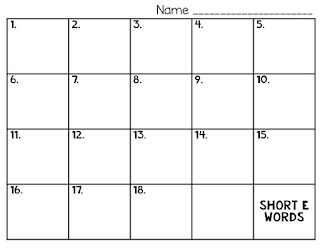 I wanted to share with you what activities are included each week! So, I've broken it down into days to help you get a better idea of what it is all about! 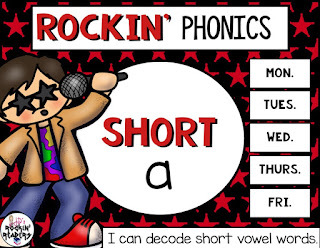 Rockin' Phonics consists of an animated Power Point each week and a 4 day game rotation. Each day (Monday-Friday) we start with an anchor chart of the phonics skill we are working on. When you click through the chart (I would HIGHLY recommend purchasing a Power Point Clicker), it will go through each picture word by word. Students will "sound out" the pictures. 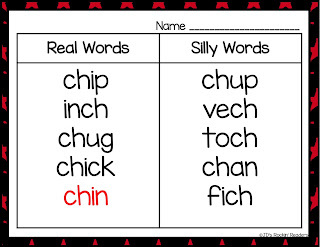 Many times, this is a great way to introduce new vocabulary. On the second slide, students will just read through the words as the animation brings them on the slide. This anchor chart is presented each day for continued practice. Next up on Monday is what I call "Drum and Strum". This is a fun way to get students to segment and blend words with the focused phonics skill. I have students stand up and "drum" the segmented sounds. Then, they "strum" like a guitar as they blend the sounds together to make the word. The next activity on Mondays is a word sort. The sorts are a little different depending on the phonics skill. For the CH unit, students sort words that begin or end with CH (there is a worksheet that is included). I have them use crayons of different colors to help "highlight" the phonics skill that we are practicing. What I LOVE best about this sort is that I can just click through the slides. I'm not going to my Smart Board or Document Camera to write the word first. The slides do that for you! This allows you to walk around your classroom and help students that need your help. You will start by going through the anchor charts on the Power Point each day. Then, the first activity is called See It Write It! 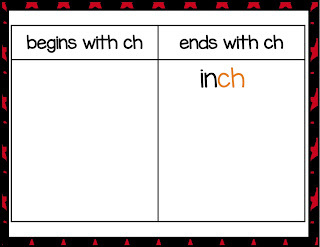 This activity help teach students how to segment and write words using the phonics sounds that you are teaching. Students use Elkonin Boxes to learn how to write words. Before coming the Smart Board/Carpet on Tuesdays/Thursdays students bring their whiteboards with them (or you can use the Elkonin Boxes included in the product). 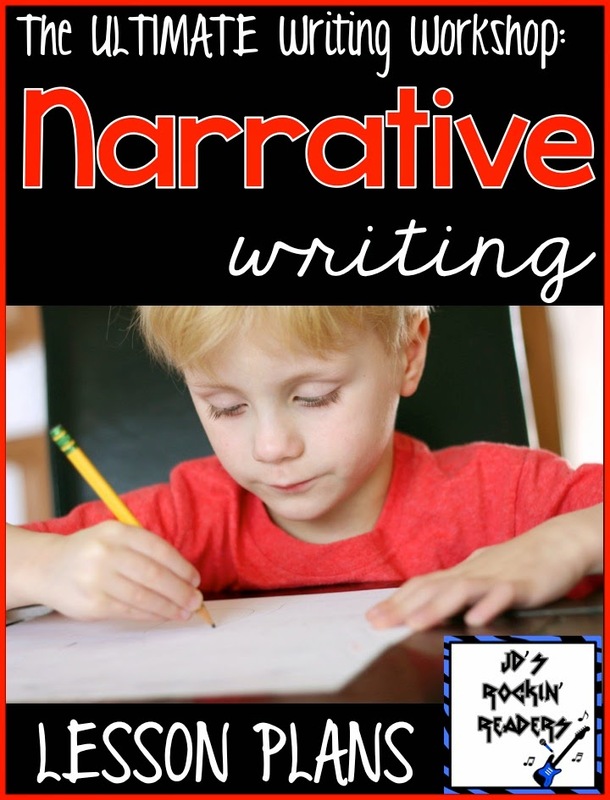 While you click through the slides, students will attempt to write the words. 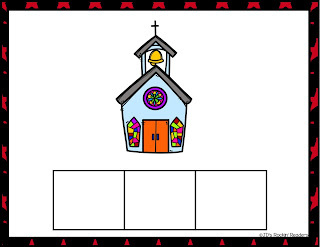 The first slide shows the picture and how many sounds the word has. I like to do a fun little chat to have students show me what they wrote as they hold up the whiteboard. I take a quick look to see who is getting it and to see who needs some additional help, then I go to the slide that shows how it is spelled. We do some words with 3 sounds and then some with 4 sounds. Next up are Rockstar Jumps! Students put away their whiteboards and stand where they can see the Smart Board but have their own space. 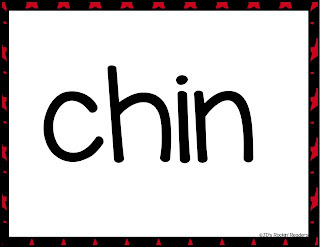 By clicking through the slides, this helps students to learn how to "sound out" words using the phonics skills we are learning. 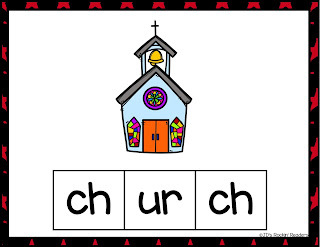 Students don't see the entire word at once but rather in segments that would help them to sound out words. This slide starts out blank. When you click it once, it shows the "r" and students say that sound. Then, when you click it again the "an" shows up and they say "an". 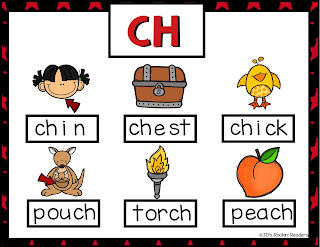 Then, with another click, the "ch" shows up and the students say that sound. 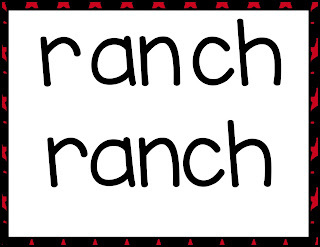 Finally, the last click, brings up the entire word "ranch" and students say that together. After every few words, students will see a Rockstar Jump slide. This is when they do a Rockstar Jump (jump in the air and kick their bottom with their feet). 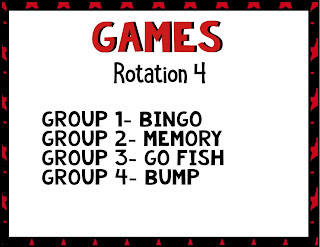 After the Rockstar Jumps, students will participate in a game rotation. This rotation lasts for four days (Tuesday-Friday). You can divide your class into 4 different groups and each group plays a different game each day. I just use table groups so the groups end up changing throughout the year. Bump: I usually make 3 sets of BUMP so that students can work with a partner. 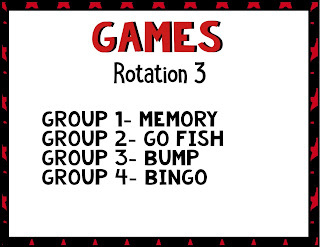 Memory: I usually make 3 sets up Memory so that students can work with a partner. Go Fish: I make two sets of Go Fish. 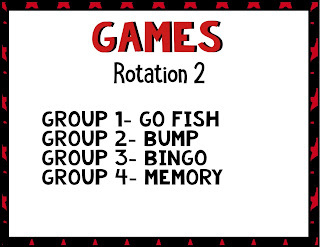 Students can play in groups of 2, 3, or 4. Each day (Tues.-Fri.) we play the games for about 10 minutes. The kids LOVE it! 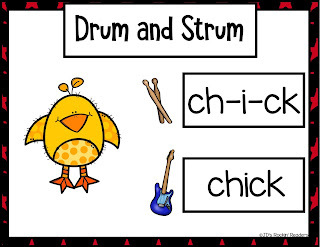 Wednesday starts out with the anchor charts and quickly moves into the Drum and Strum. This is the same as Monday only with different words. Then we do a Real vs. Silly sort. Again, I love this because all I have to do is click through the slides. I am able to interact and work with students as we are doing the activity together. The students have a worksheet and write the words as we go through the slides. On Thursday, we go through the anchor charts again. We bring our whiteboards to the Smart Board again to do Elkonin (sound) boxes. It's the same process only using different words. This set has none of the letters on the cards. 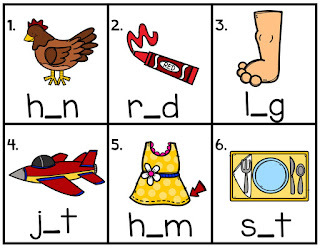 This set focuses on the short vowel sound. Two different recording pages to fit your needs. 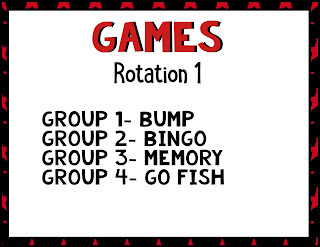 Lastly, on Thursday we finish off with our game rotation. Friday is purposefully shorter than the other days. If you do spelling tests, you can have time to administer your spelling test on this day. 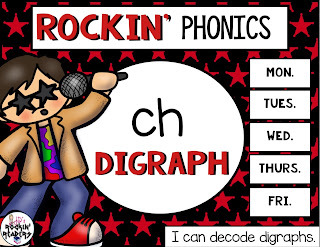 If you are looking for a Differentiated First Grade Spelling List, I have a resources that matches up perfectly with all of the Rockin' Phonics Weeks! We start with the anchor chart and then move right into the Rockstar Jumps. This is the same as Tuesday only with different words. So, seriously, all of this for only $6.00 a week! If you purchase the entire First Grade Bundle, you save 20% and get 28 weeks of phonics instruction! Not sure if this is right for you? Check out Short A for FREE! That's 178 pages/slideshow/games etc. for FREE! Click on the picture below to download! Or, if you are interested in the entire First Grade Bundle (20% off), click the picture below! If you've made it to the end of this post- congratulations! I know there is a lot to take in- but I have a special FREEBIE for you! 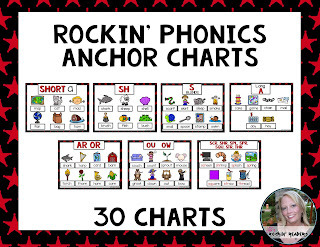 Here are some Phonics Anchor Charts! 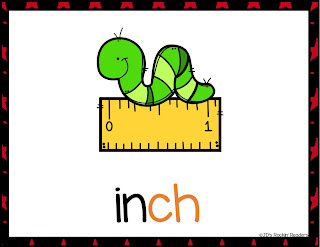 These are the ones that are used in this product but they can be used with any phonics program! Click below to get your FREEBIE! I’m Jennie and this is the home to JD’s Rockin’ Readers. I am currently a First Grade Teacher and former Reading Recovery Specialist. I LOVE everything Guided Reading and Writing Workshop. 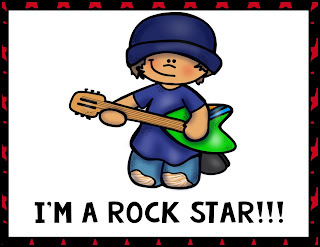 Thanks for stopping by my little blog and I hope you all have ROCKIN’ READERS! FREE way to merge two PDF files, Dr. Seuss Nails, and great FREE educational apps!